The motor trade industry is one sector that looks set to enjoy some positive developments as a result of the changes announced in Chancellor George Osborne's Autumn Statement. The positive developments are clearly welcome, but it's worth remembering that the various updates could well combine to deliver substantial changes in business that are worth factoring into a company's motor trade insurance policy. 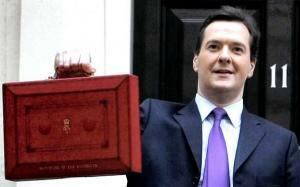 The headline announcement was the news that stamp duty costs have been radically overhauled. Analysts have suggested that coupled with the freeze on fuel duty, consumers are likely to have more disposable income, which could well filter down to increased spending on vehicles. More focused help is likely to come from the news that from April next year National Insurance Contributions from employers will be abolished for all apprentices under the age of 25. As a major supporter of apprentices, this looks set to help garages and mechanics continue to work closely with apprentices without increasing their costs. The planned extension of enterprise and growth zones offering business rate relief and other areas of tax relief will be of particular interest to any motor traders looking to expand in the coming months. All of these small amendments to the country's economic structure are adding up to subtle but noticeable changes in the industry. With the options for increased expansion, higher turnover of vehicles and potentially more apprentices and other staffing changes, it's important to remember to check that the company's motor trade insurance policy remains adequate for the business' needs when there are notable changes to the market/industry.